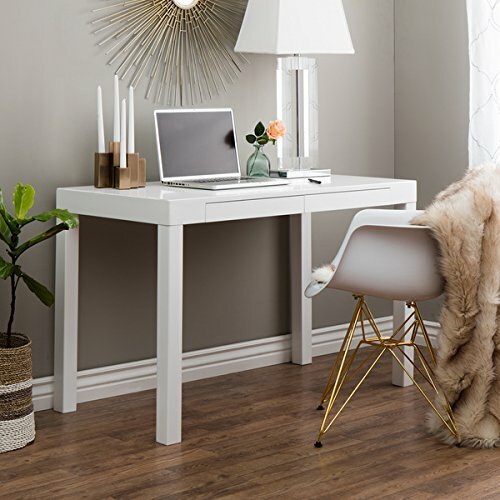 Create a personal workspace with a small footprint with this sleek, space-saving student desk. With a crisp white finish and slim design, the desk complements any decor with contemporary sophistication. The desk features two integrated drawers for discreet storage of supplies, notebooks, and laptops, and the work surface offers plenty of space for study sessions, artistic endeavors, intensive work, and more. The desk is quick and easy to assemble for your convenience. If you have any questions about this product by I Love Living, contact us by completing and submitting the form below. If you are looking for a specif part number, please include it with your message.